Free up your time with automated billing. 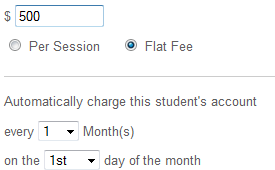 TutorPanel lets you bill students per lesson or on a periodic basis which you can adjust to fit your billing method. 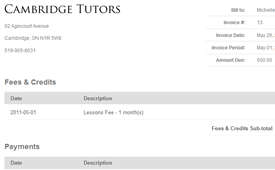 Fees are automatically recorded when teachers mark lessons as attended. 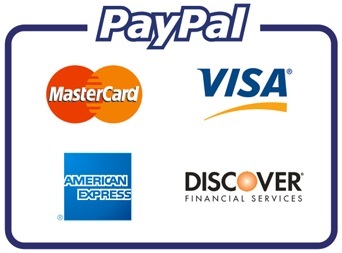 Offer your clients the ability to pay online by credit card or PayPal through PayPal's secure payment processing system. Automatically record payments in your TutorPanel account using PayPal's Instant Payment Notifications. Billing can be a time-consuming task, but with TutorPanel you can easily create an automatic billing schedule that fits your billing method. Bill by lesson or on a periodic basis that can be adjusted for frequency and date of the month. Use the same billing method for all of your students or use a different one for different types of students -- the choice is yours. Generate professional, itemized invoices customized with your company logo and payment instructions. 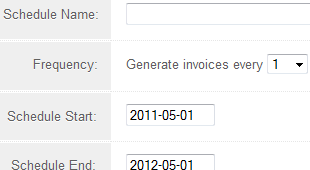 You can set the invoice period, include or exclude the starting balance, and generate manually or automatically. Families with more than one child are automatically grouped onto a single invoice for the family. Save hours each month by generating all of your invoices automatically. All you have to do is set up an automatic invoicing schedule once and it will take care of the rest. Give Students & Parents online access to past fees & credits. Flexible billing allows different billing methods for each student. Adjust invoices to carry forward balances or include only charges from the current period. Set different automatic invoicing for different groups of students. Automatically send email notifications when new invoices are available. Students & Parents can retrieve past invoices online.